With so many things that was announced today, I am lost on where to start. I will save myself much of laundry list reporting of features announced which I am sure press has done a great job – instead I will give links to these press coverages. 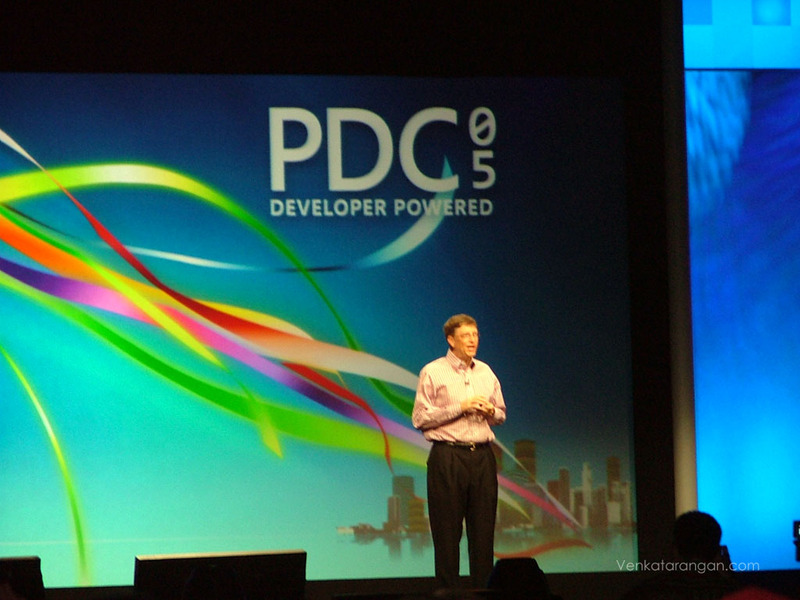 First Bill Gates and Jim Allchin Keynote (Read a quick detail here) – It was fabuluous stuff that were being presented, what were showcased today is sure to have an impact on the PC Users and Developers for next 10 years. 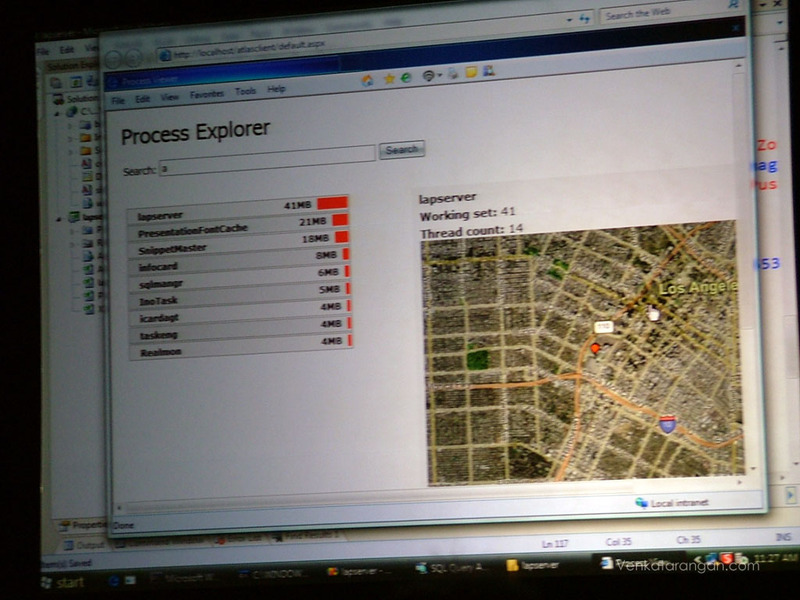 You can read EWeek’s complete coverage here on Windows Vista & Office 12 with screenshots. 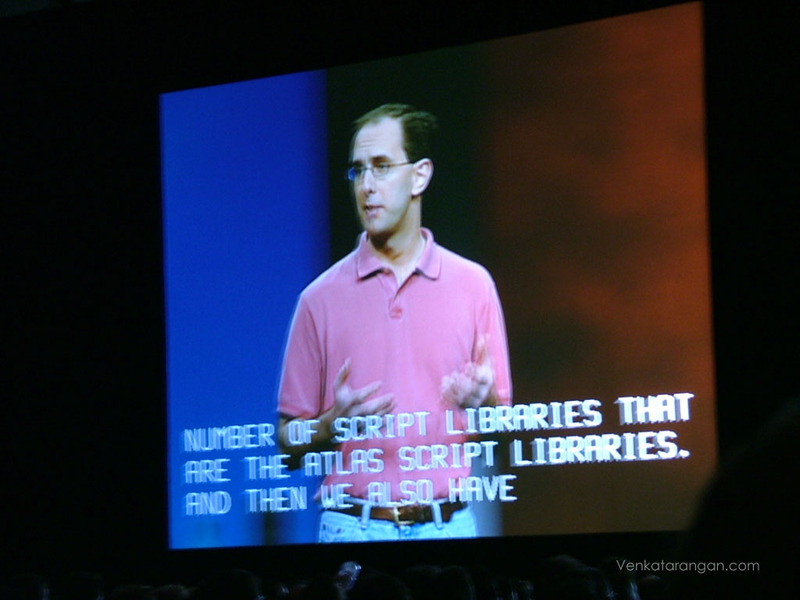 In the keynote while BillG or Jim were speaking they had Text rendered on real time (Closed Captions) on the side screens. I am sure this definitely helped non-native english speakers to follow on the speech. 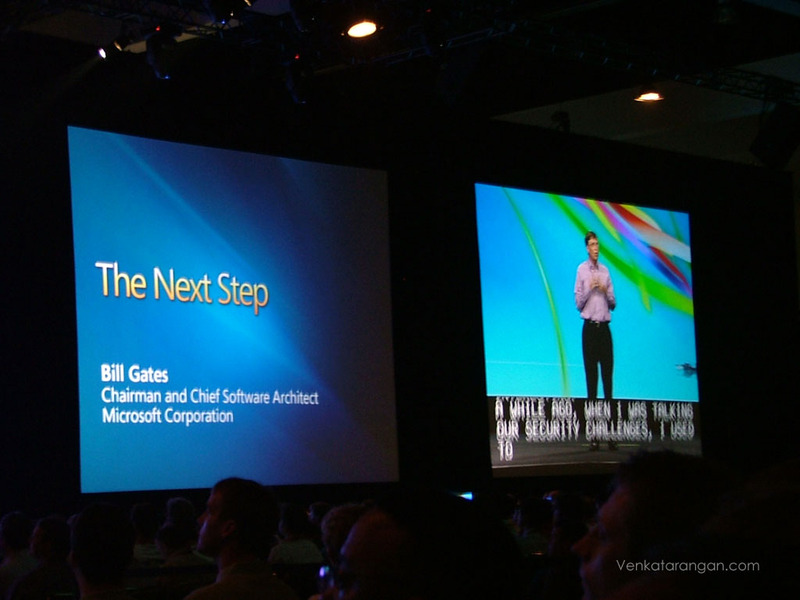 BillG’s keynote (Official Speech Transcript is here) demo included all the great things that are coming in Windows Vista and IE 7.0. The Windows Vista SideBar and SideShow (This allows you to access Inbox/Calendar/Notes from a small screen in your Laptop Cover when your PC is switched off) were impressive work. 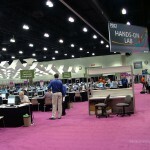 The Sideshow is a real innovation coming in the laptop space after a long time. 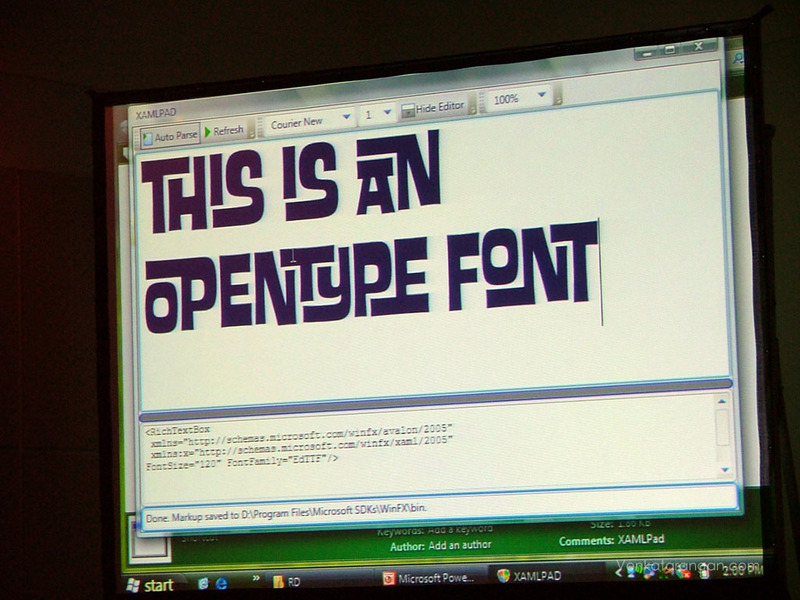 The other cool thing in Windows Vista with Avalon was true support for Open Fonts that allows amazing font displays like the picture below. Notice how a character changes its previous character appearance. This is real delight to watch when you are typing and watching in real time the changes. 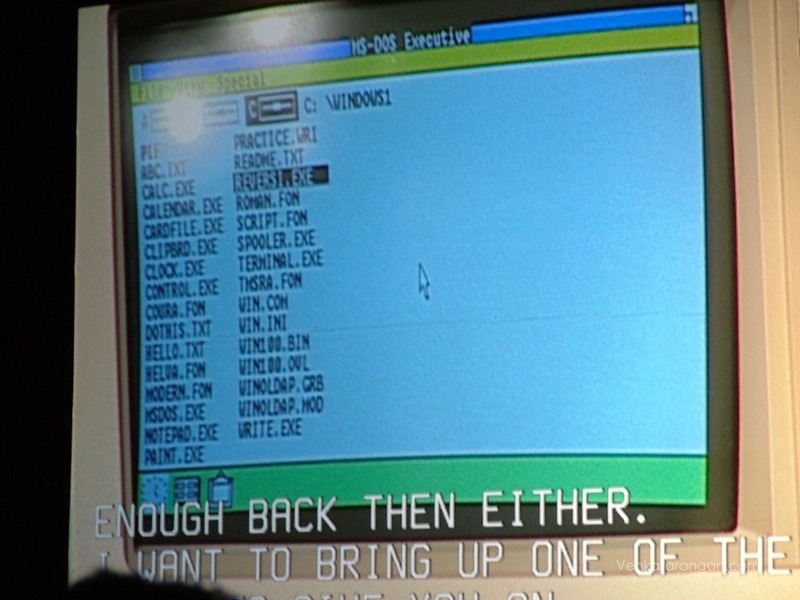 BillG for the very first time showed the new Office “12” interface and features. One of the little things in that I really liked was the ability for Outlook to take documents from Sharepoint Document lists offline with you. Apart from this, BillG’s Keynote had a recruiting video featuring Bill Gates and a young lad, the story was about all that BillG had to undergo to get this guy work for him. Very funny!. You normally perceive BillG to be a geek, lacking fun but this proved that completely wrong. 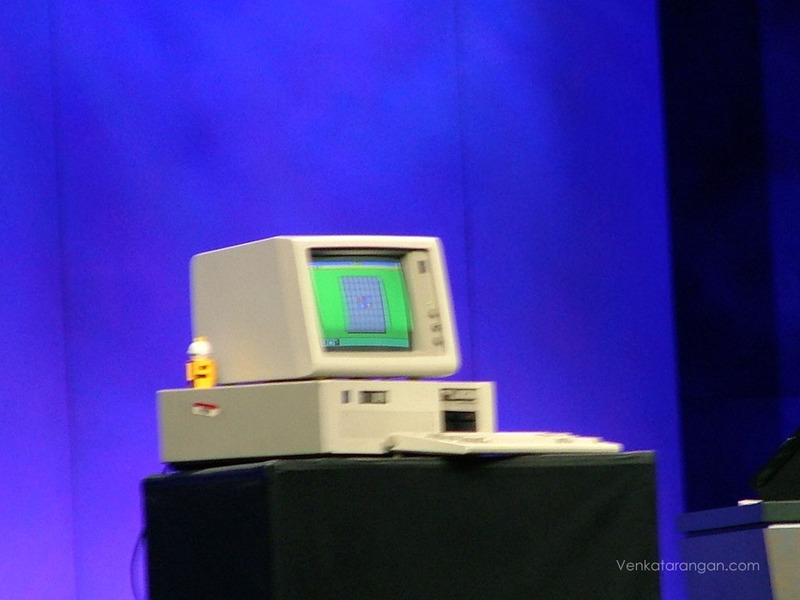 Jim Alchin started his keynote with showing an original IBM PC/XT running Windows 1.0, which was cool to watch. 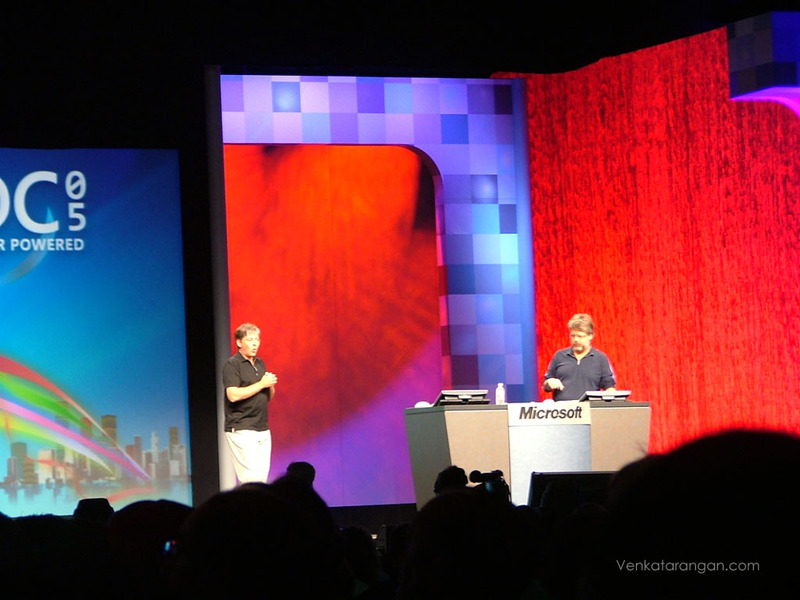 Then Jim invited the 4 Senior Platform Architects in Microsoft to show code of upcoming technologies. 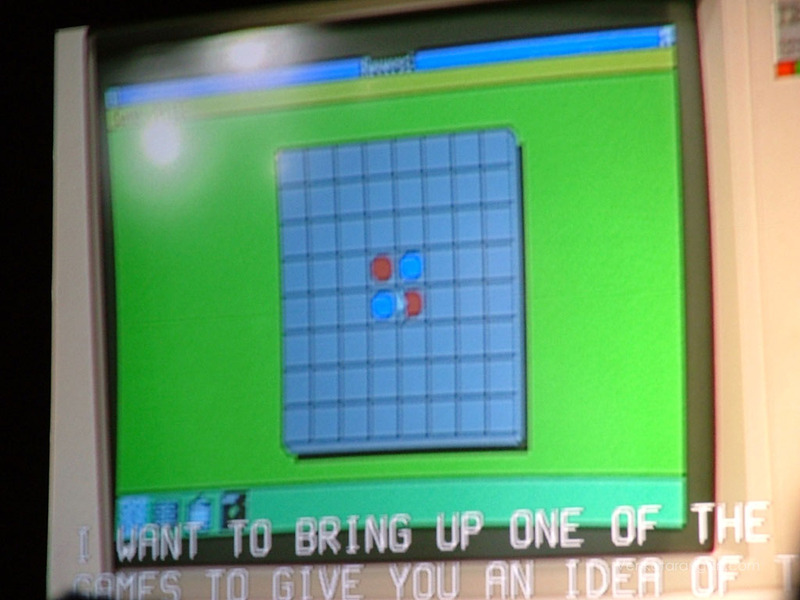 These were legends like Anders and Don, the way they typed the code flawlessly, the co-ordination and sync-up between them were awesome. 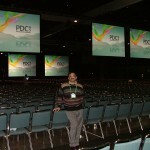 All upcoming technical presenters had tons to learn from this act. 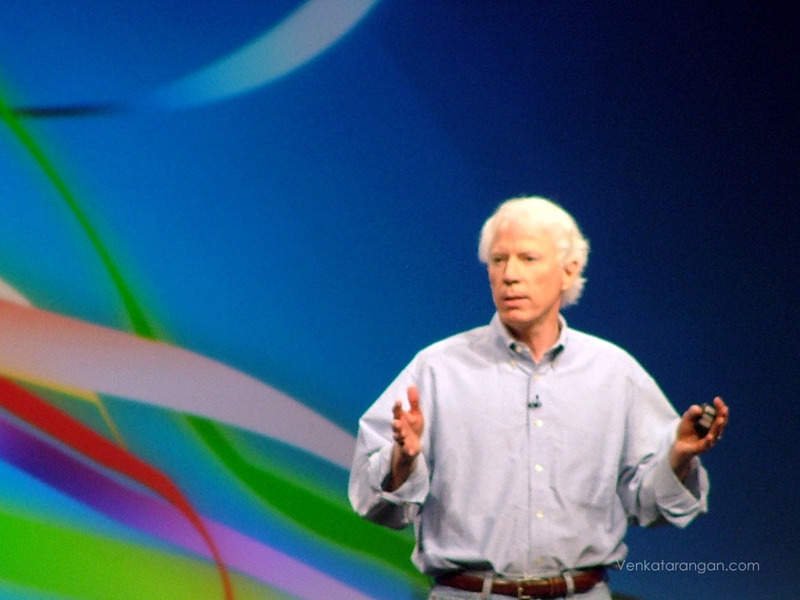 When Anders presented on upcoming LinQ’s technology, Don typed the code in perfect timing; similarly when Don talked about Indigo (WCF) Chris typed the code. Awesome stuff! 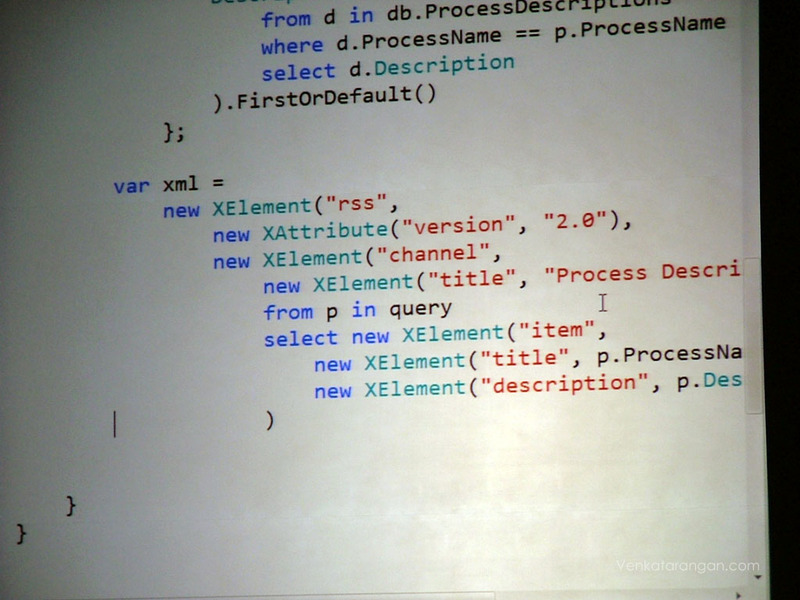 The query language included new XLinQ technology, as you can see in the code below, it makes generating XML very easy. Good Stuff. Finally Scott Guthrie (I love this guy, especially his works and more so his blog) showed the new Atlas ASP.NET Technology. Read here about what Scott’s got to say about the demo he made today.